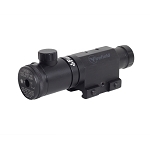 The LAM 10M Infrared Laser Aiming Module from Newcon provides an invisible IR laser aiming point. It can be barrel-mounted or attached to a Picatinny/Weaver type mounting rail. 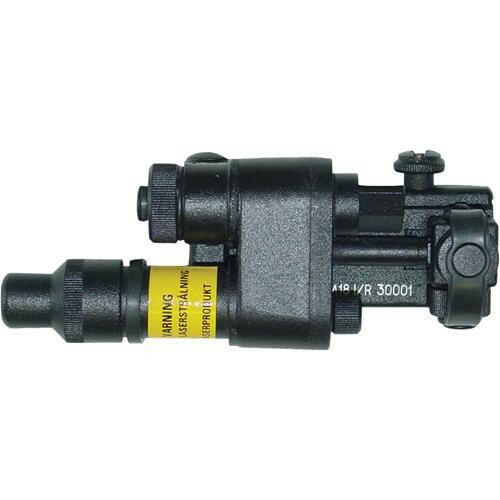 The LAM 10M offers integral windage and elevation correction. 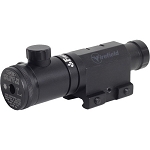 The entire unit is weather-resistant; its durable metal housing is sealed and waterproof. 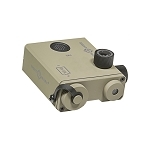 This aiming laser offers two operational modes: constant-on and momentary-on. The operator can also select high-power for maximum visibility, or low-power for maximum battery life. 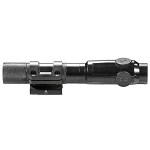 The LAM 10M can be activated by the unit's main switch or a pressure-sensitive tape switch. 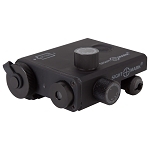 This lower-powered aiming device is rated as eye-safe, it produces a beam that can reach out to 200 m.